This year’s Asian Festival of Children’s Content (AFCC) was particularly special for me, as the Country of Focus was the place where I have lived and worked for the past eight years: Japan. Living in Japan, learning Japanese, and reading Japanese literature have all been transformative experiences in my life and so it was a great thrill to see the AFCC provide an international showcase for some of the best in Japanese children’s literature (and music!). I was certainly pleasantly surprised by the levels of enthusiasm and interest that the audience showed toward Japanese culture, history and literature. 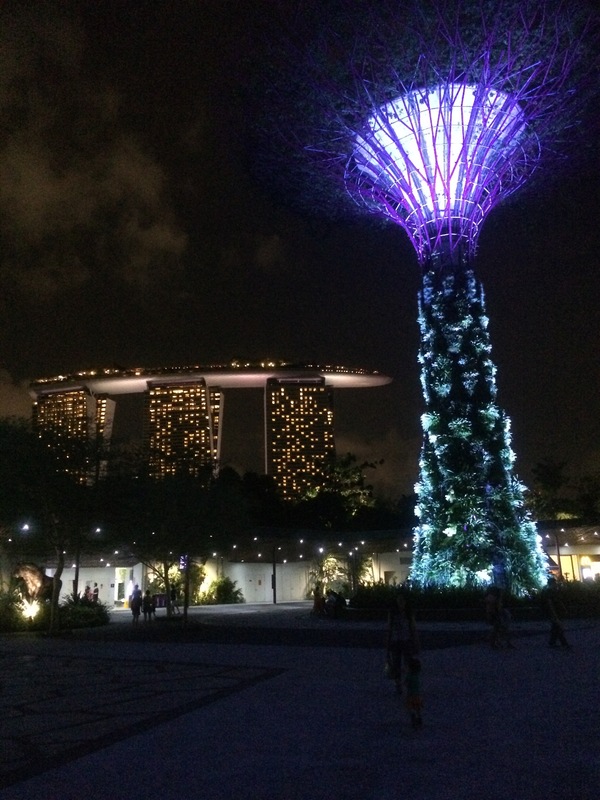 The festival was held at the Singapore National Library, a spectacular building with impressive facilities that seem very popular with locals and visitors alike. On the seventh floor, the library hosted a special exhibition entitled “The History of Japanese Picture Books: From E-ingakyo to The Family of Fourteen“ (in cooperation with the Chihiro Art Museum in Japan) which displayed beautiful examples of Japanese pictorial storytelling from early Heian period (8th century) to modern day picture books. Kazuo Iwamura (岩村 和朗), author-illustrator of the renowned Family of Fourteen series, attended the festival, and it was a great honour to meet him. My festival began at a session entitled “On Translation” by Japanese-to-English translator Cathy Hirano. In this session, Hirano spoke of her desire to share with people around the world some of the wonder that she feels when reading books in Japanese. As a teacher of Japanese literature in translation, I found it inspiring to hear Hirano talk about the cross-cultural influences that have been made possible throughout history because of translation. 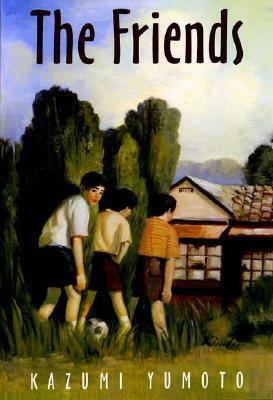 One of her own translations, an award-winning novel by Kazumi Yumoto (湯本 香樹実) entitled The Friends (夏の庭), was inspired in part by Stephen King’s novella The Body (source for the film Stand by Me). Another session I attended was “Where are the Parents?” This panel discussion involved four participants (Cathy Hirano, Felicia Low Jimenez, Gabriela Lee, Edward Lim) answering various questions related to the place of parents within children’s stories. What was quite interesting to note was that the two writers based in Singapore and the writer based in the Philippines noted that parents tend to figure quite prominently in children’s literature in those countries, possibly due to a combination of cultural, political and/or religious influences. Hirano, on the other hand, explained that Japanese children’s stories tend to follow patterns where the parents are removed from the story to focus on the experiences of the children, as is more common in the West. “Bookstart: Books and Babies” was probably the session that surprised me most. Prior to the session, I had never heard of Bookstart, which is an international organisation designed to promote the fun and value of parents reading sharing books to with their babies. Since it was introduced to Japan in 2000, it has provided free bags of books to over 5,000,000 babies at their 4-month health checkup. Currently, this is being provided in 55% of local authorities in Japan. The videos shown, and the presentation by Tetsu Shirai and Izumi Satou, were inspirational and inspiring, particularly to the father of a young child. Two other sessions that I attended pushed me out of my comfort zone as a novelist and into the realms of poetry and artwork. “Children and Poetry” was presented by Mariko Nagai, who read poetry in both Japanese and English, speaking about ways that she weaves ideas such as war and conflict into poems about everyday life. “First Look: Illustration Critique” involved a panel of accomplished illustrators (Calef Brown, David Liew, Kyle Hughes-Odgers, Naomi Kojima) commenting on the work of aspiring (but anonymous) illustrators, which was fascinating as a writer who sometimes struggles to find ways to depict the details of human bodies, actions, and faces. 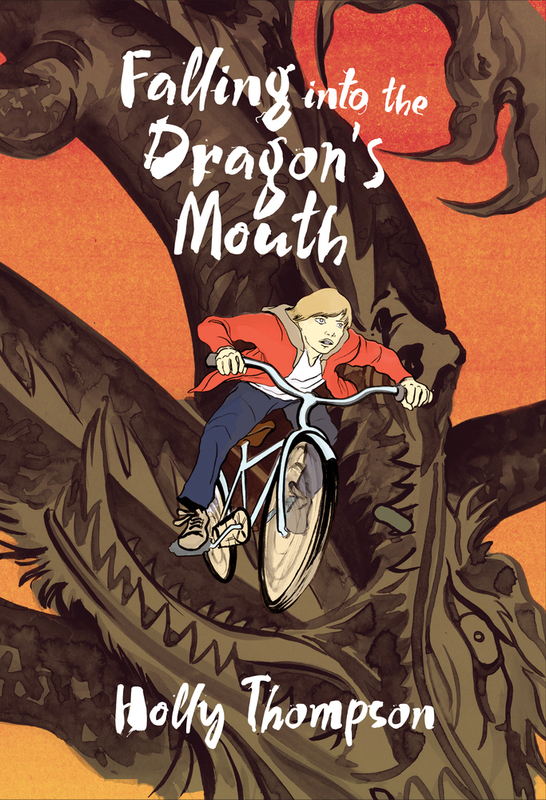 I was also thrilled to see that there was a lunchtime book launch for my friend and fellow Japan-based writer Holly Thompson‘s new verse novel Falling into the Dragon’s Mouth. 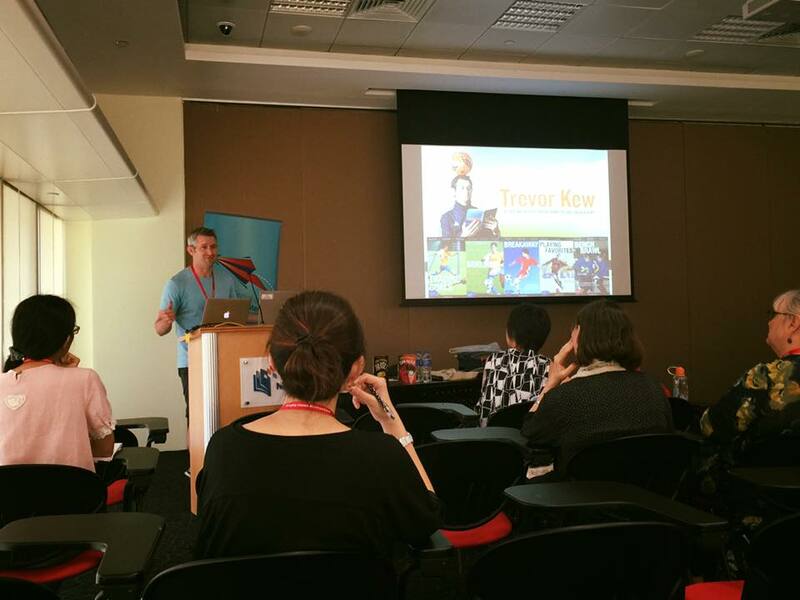 I was also incredibly fortunate to be asked to conduct two sessions at AFCC this year and facilitate a third. 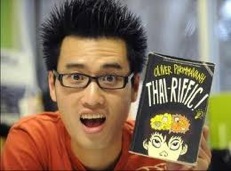 The first presentation, shared with Thai-Australian children’s writer and standup comedian Oliver Phommavanh, took place during the Writers & Illustrators part of the conference. Instead of explaining our title “From Inside Out and Outside In: Writing About a ‘Foreign’ Culture”, Oliver and I decided to let the audience ponder who was the cultural “outsider” and who was the cultural “insider.” Oliver began his part of the presentation in true stand-up style when he made the point that most people probably thought I was the Australian and he was the guy from Japan when they walked into the room. It was a privilege to present with such a talented writer and speaker, and to have the opportunity to speak about a topic so close to my heart to an audience that was so responsive and engaging. The session I facilitated, “Asking the Right Questions” was part of the Preschool & Primary Teachers Congress that took place on Saturday and Sunday. In this session, Maya Thiagarajan (author of the book Beyond the Tiger Mom: East-West Parenting for the Global Age) spoke about the challenges of asking questions within different educational contexts (particularly Singapore and the United States) and ways of overcoming those challenges. Later that evening, I gave a presentation (un-creatively) entitled “Creative Writing in the Classroom: a Teacher-Writer’s Perspective”, in which I attempted to provided concrete reasons for teaching creative writing along with strategies for doing so, based on my experiences as both a teacher and a writer. I would like to thank the audience for being so welcoming and inquisitive. For resources, please feel free to visit my teaching webpage, which has a page devoted to creative writing resources (still in development…it will continue to grow…). The AFCC also hosted a Japan Night at the Sentosa aquarium that involved a massive fish-tank, two bilingual picture books, a delicious meal, and two divers nearly becoming a delicious meal for sharks as they presented said bilingual picture books inside the massive fish-tank. The night was capped off by various musical performances, including the Doraemon (ドラえもん) theme song performed by Satoko Yamano and Toshihiko Shinzawa (video below). Great write-up, Trevor! Thank you so much for sharing. Many of us were unable to attend so we appreciate the glimpse into the festival. Underwater reading next to a shark? Wow. I don’t think I’ll try that at home.